Carolyn Nelson died Friday, April 6, 2018 at Luther Haven Nursing Home in Montevideo at the age of 76. Memorial service will be held on Wednesday, April 11, 2018 at 1:30 PM at Our Saviors Lutheran Church in Montevideo. Rev. 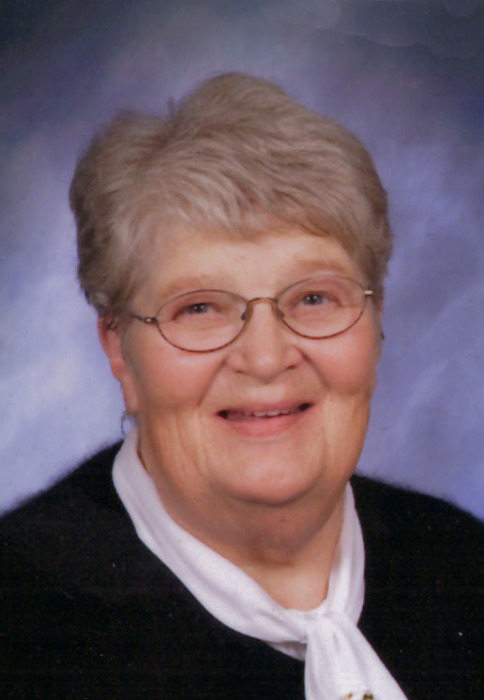 Marie Eckberg will officiate and interment will be at Mandt Lutheran Cemetery. Visitation will be held at Our Saviors Lutheran Church one hour prior to services on Wednesday, April 11. Carolyn Jean (Jacobson) Nelson was born April 26, 1941 at New London, MN the daughter of Benny and Hazel (Erickson) Jacobson. She was baptized and confirmed at Eagle Lake Lutheran Church. She grew up on a farm and graduated from New London High School in 1959. She worked in the Twin Cities for a short time before moving back home to help raise her siblings. Carolyn was united in marriage November 30, 1963 with Harlan Nelson. They made their home on a farm north of Montevideo. She worked as a CNA at Luther Haven for a few years before the family moved to New Jersey in 1987 working as a handyman couple. They moved to Missouri in 1995 and then she moved back to Minnesota in 1997 and later to Montevideo in 2009. Carolyn enjoyed sewing, canning, cooking and baking. She is survived by three children: Ramona Nelson of Shakopee, MN, Paul Nelson of Phillipsburg, MO, and Rod (Zindra) Nelson of Mount Vernon, WA; twelve grandchildren: Ronnie Gunter, Jr., John, Krisina, and Walker Nelson, and Josiah, Jedediah, Jaden, Julia, Jevonna, Jeremiah, James, and Jane Nelson; five great-grandchildren; three sisters: Shirley Combs of New London, MN, Sharon White of Phoenix. AZ, and Joyce Schuman of Howard Lake, MN; and numerous nieces and nephews. Preceding her in death were her parents; daughter, Julie; and two brothers-in-law: Duane Combs and Beryl Schuman.